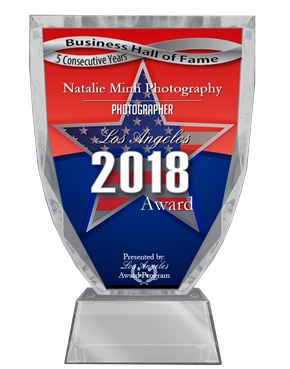 LOS ANGELES FITNESS PHOTOGRAPHER NATALIE MINH IS AN AWARD-WINNING, INTERNATIONALLY PUBLISHED PHOTOGRAPHER. Her images have appeared in global advertising campaigns and the NYC Times Square billboard, model portfolios throughout well known European and American modeling agencies, and national American television shows. Her areas of expertise are in the genres of fashion, beauty, glamour fitness, editorial, commercial and model portfolio development. Natalie is the author of The Insider’s Guide to the Business of Fitness Modeling and owner of Natalie Minh Interactive, an integrative media agency. She is a 3x European fitness model champion, celebrity judge, fitness cover model, business consultant, and Editor in Chief of Fit Lifestyle Magazine, an online destination for fitness, nutrition, photography, modeling, music, and travel. Los Angeles Award Program identifies companies that they believe have achieved exceptional marketing success in their local community and business category. These are local companies that enhance the positive image of small business through service to their customers and our community. These exceptional companies help make the Los Angeles area a great place to live, work and play. About Me Overall rating: 5 out of 5 based on 46 reviews.